Earlier today, we reported that 20th Century Fox's Deadpool is a bona fide box office hit, shattering records with an opening weekend take of $135 million, which is more`than double the movie's $58 million budget. Weeks before the movie hit theaters, Deadpool 2 was already in early development, with a report surfacing last week that the original creative team is expected to return, with Rhett Reese and Paul Wernick already working on the script and director Tim Miller believed to return, even though he hasn't signed on yet. While no cast members have been confirmed yet, Avatar star Stephen Lang took to his Twitter page earlier today, to campaign for the iconic role of Cable in the sequel. During the end credits scene of Deadpool, Ryan Reynolds' title character revealed that Cable will in fact be a part of the sequel. The actor joked that stars such as Mel Gibson, Dolph Lundgren and Keira Knightley are possible candidates for the role, but we may not know for some time when the character will be cast. Producer Simon Kinberg teased in September that talks for the follow-up were already under way with 20th Century Fox, while hinting that Cable, the iconic leader of the X-Force comic book series, may make an appearance in Deadpool 2. This isn't terribly surprising, though, since Rob Liefeld created the comics for both Deadpool and X-Force. In the comics, Cable is the leader of X-Force, who was born with telepathic and telekinetic abilities. Like Mel Gibson and Dolph Lundgren, the 58-year-old Stephen Lang would be within the proper age range to play Cable, and it's worth noting that campaigning for a role through social media has paid off in the past. After mentioning in interviews and on his social media pages several times that he wanted to play Gambit, Channing Tatum eventually did lock down the role in this spinoff, which starts production this spring. While Deadpool 2 is most certainly moving forward, it isn't known when production may begin, or when 20th Century Fox may release this sequel. The studio will release X-Men: Apocalypse this May, with Wolverine 3 arriving March 3, 2017. The studio is also developing The New Mutants and X-Men 7 as well, but it hasn't been confirmed when those projects will begin production. 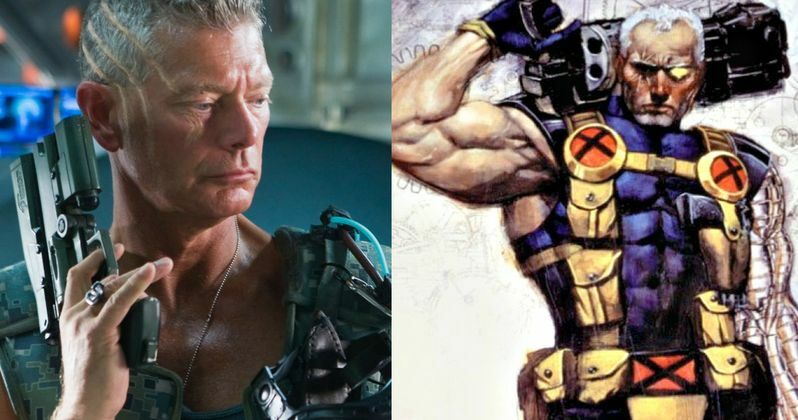 Do you think Stephen Lang is a good choice to play Cable in Deadpool 2? Take a look at the actor's tweet below, and stay tuned for more on this sequel.